Happy February, this is Janet from Try it - Like it - Create it and I want to share with you one way I use Embellie Gellie from ScraPerfect. 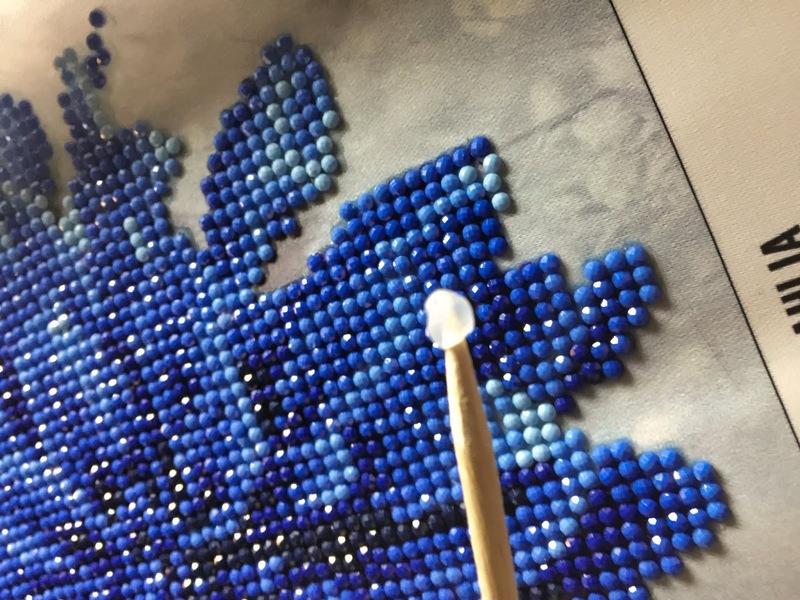 Have you tried Diamond Painting? It is one of the newest trends in crafting. Open the case and remove a small amount of Embellie Gellie. Roll it into a ball and place it on the end of the wood stick that comes with it. Embellie Gellie works so well!